HOLIDAY SALES START NOW… ARE YOU READY? Time to ring in the holidays with flyers, flyers and more flyers. Are you ready Canada? A better question might be, Is your budget ready? Boredom for many people can lead to spending more money than they need to, but we should be able to control these urges. Yesterday I wrote about Halloween coming to an end and the best time to put up decorations so it came as no surprise opening the weekly flyers that the stores have wasted no time with Christmas marketing. The hard part is when the holidays surround us and the flyer gimmicks entice us to shop til we drop. Many of you know the shelves are already in the making before Halloween is even over. For most stores Christmas is the biggest time of year when it comes to sales and consumer traffic so every day counts especially if the shelves are not ready to go. The glamour of Christmas for many puts them in the ‘spending spirit’ and it may be tough but it’s a time that we all have to buckle down and get control of our finances. I know that is easier said than done because we battle the very same desire to window shop when we don’t really need to make a purchase, especially around the holidays. It’s that one awesome sale in a flyer that draws us in or we simply want to see what’s out there. The decision to not fall for all the holiday flyer specials was to pace ourselves and make a plan. Our Christmas budget has changed over the years and now we draw names at the beginning of each year. The Christmas budget for us is a projected expense which means we save the money all year-long just in case we find it on sale and so we have the cash come Christmas and no credit cards are required. We only buy for one person now and we spend $100 on them and with that name comes a list of what they might like. The flyers above were sent in to me by a fan who was surprised how the stores word the cover of their flyer in hopes of bringing in scores of customers although many of them seem to have the same deals like the grocery store $0.88 sales at Metro and No Frills. Food Basics is waving the fans in with a “Mania Sale” getting much more for less. Canadian Tire flyer has Christmas trees on the front claiming “Bright Holiday Deals” to put you in the shopping mood. 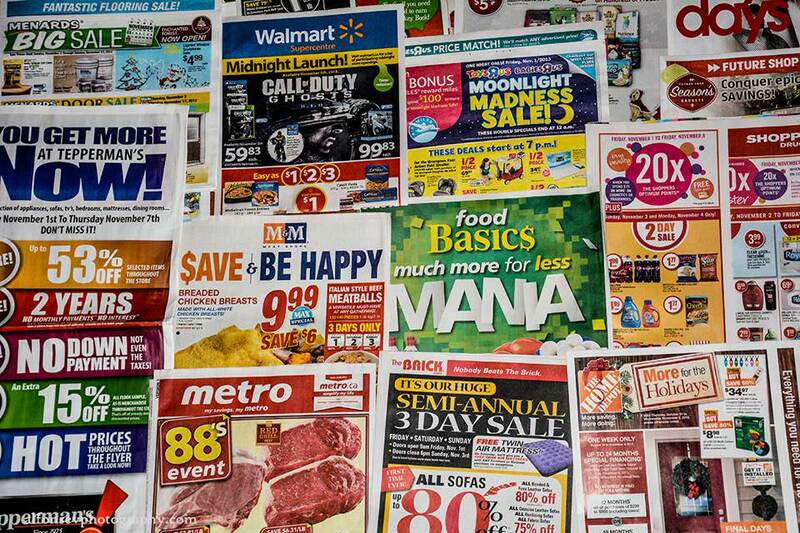 Not only do you get the colorful banners at the top of the weekly flyer they make it even more enticing by almost forcing you into the store with a 1 day sale, 2 day sale, 3 day sale or a moonlight or midnight madness sale. You might also find these words stand out on the flyer because those are the words they want you to remember. The notion of saving combined with being happy is how M&M Meats wants to inspire their customers to shop with them and rightfully so if the consumer will save money in their grocery budget. Appetizers are a huge deal over the holidays so they will stop at nothing to pass along savings to the customer to get them in the store. They know their products sell and most people like Costco go in for one thing and come out with 10. The problem with all of these enticing holiday flyers that are coming out is that they drive the traffic, meaning you and I into the stores with our wallet fired up and ready to spend. If we find it difficult as consumers to tighten the strings on the wallet it may be a dangerous holiday game of shopping each week because of the marketing involved during the holiday season. 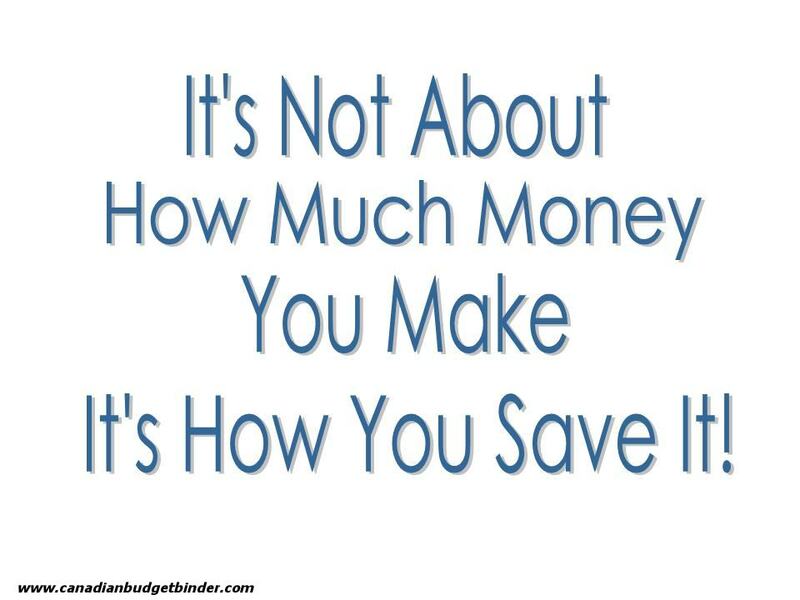 This could only prove to motivate us to overspend unless we have that plan of action and stick to it. How do you handle the flyer gimmicks and giant sales this time of year so you don’t break your budget? 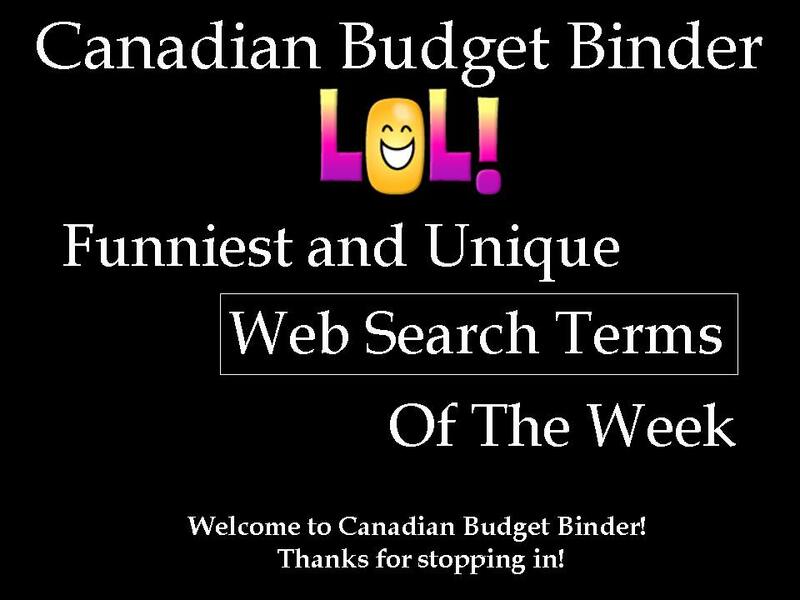 Just in case you missed any of the awesome posts at Canadianbudgetbinder.com this week I’ve got them all below for you. 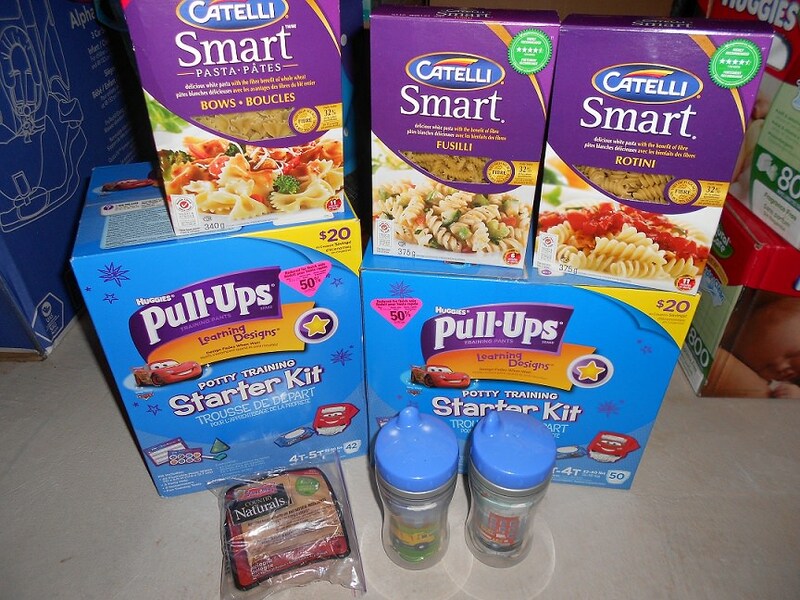 Not too much has been happening the past week in our house but we have officially busted the budget again this month which you will read about next week when I post our October budget update. I’ll also be looking at the numbers closely the next few months to see how the seasons might impact our shopping habits. We have found that the colder the weather gets the more inclined we are to head out shopping or pouring into the stores that have those 50% off signs or end of season sales in the windows. We wanted to start doing more as a couple by getting out of the house and the first place it has brought us is to the shops. On the blog nothing exciting has been happening although I’m hoping to get a few fixes sorted out with my designer but it’s nothing that you can see on your end. I did make an oops this past week with the way I presented the layout and it was my error which I later fixed in the day. Now that the blog is on self-hosted I am responsible for any problems that happen above and beyond what my designer has created although he helps me out quite a bit. It’s great to work with someone who cares about his design and the blog owner like he does for Canadian Budget Binder. Don’t forget to put your clocks back as we Fall behind one hour this Sunday morning Nov 3, 2013 at 2am and enjoy the extra hour of sleep. I know I will. Since garage sales are pretty much done now with the upcoming winter months my idea is to have you the fans submit either an awesome deal of the week that you got, a freebie worthy of mention, kijiji score or other online buy that was amazing or any other major savings you want to brag about. So, starting today send me in your photos and a write-up explaining the deal, prices and where you got the item and I might choose your steal of a deal in an upcoming Saturday Weekend Review. You can email me at canadianbudgetbinder (@) yahoo (dot) (ca) with your picture and details. Today our in-house awesome shopper Jen P is sharing her RCSS score from last week which cost her hardly anything out-of-pocket meaning she saved money in her grocery budget. Jen is also an avid grocery game challenge player and has seen her grocery budget decrease over the past 2 years since posting her shops but not without challenges like we all much endure. My name is Chris Holdheide and I’m honored to be a part of Mr. CBB’s Making A Difference segment. For those of you who don’t know me I’m an entrepreneur, father of three, and a financial junky. Some of you may have read my blog Stumble Forward which is a blog dedicated to helping others avoid financial mistakes and live a higher quality financial lifestyle. I started Stumble Forward as way to help others avoid some of the big financial mistakes I made in my younger years. Some of these mistakes include buying a $4500 timeshare, spending over a $1000 on rip off companies to help me sell it, to getting a mortgage that ended up costing me more than I was paying off on it. In 2008 I decided enough was enough and decide to make a change for the greater good and started my blog to help others get their financial lives on track as well as mine and by 2013 I managed get my budget under control, clean up all of my credit card debt, stash some extra cash way, and even build a brand new house. In the end my goal is to lead by example by share the painful mistakes that I have made in hopes to help others make a difference with their finances. I really appreciate when other blog owners recognize my hard work at Canadian Budget Binder and share my posts with their fans or even mention my blog on their blog or website. Here are the blogs that did just that this past week, so please head over and check them out. If I’m missing you it’s because I didn’t get a ping back so please send me an email and I’ll add you next Saturday. Here are a few of my favorite searches that may have even brought you here and you’re reading this, right now. OSAP please forgive my loan: Oh boy do you have something to learn about money and debts…. nothing in life is free! Money will kill the relationship: That is true, it can. Happiness isn’t in saving money: It is for us to an extent as we tend to balance savings with enjoying life but for others it’s in spending it…depends on your goals. That’s all for this week’s edition of The Saturday Weekend Review #44. Join me next week same time, same place to see what trouble I can get myself into. PF Weekly Grab a brew #44: When should you put the Christmas decorations up? Thanks again Mr. CBB for allowing me to be in your Making A Difference segment. I really appreciate it. We still enjoy Christmas here but I will work out a list of what is needed for the big day meal wise and what everyone has on their respective wish list. Then I hit the flyers looking for things that are needed/wanted for Christmas. I try to have a small stash of funds for the odd sale item I find that is just what some one was looking for. I also have my Canadian Tire money to use, and my points at the drug store, (not SDM but the local one) I can use for this and that. Hopefully I can find something from the Airmiles points I can use too. I don’t go looking in the flyers for ideas I go looking for the sales on what I want. The local library also has a fall book sale and I did a little shopping there this weekend. I am making some mitts for the grandson using up yarn I had here already. I have a couple of other ideas for him using what I have here. When the kids were younger I made clothes and such for them every year. Anyone else remember Woolco and $1.44 Day??? My favourite day of the month!! When I go shopping I have my list in hand, sometimes three or four lists running at one time., cross referenced. I’m going to be all Grinch-like here and just say it: Christmas no longer brings me joy. Christmas flyers, Christmas music the day after Hallowe’en, endless Christmas hype on TV, and all things Christmas overwhelming the web from September to January leave me tired, and bored, and over it, by the time (Canadian) Thanksgiving rolls around. Christmas is not a religious holiday for us, and over the years it’s added terrible pressure to our budgets and our schedules. Since it doesn’t bring us joy, we’ve decided we’re better off just not doing it at all. We will, instead, donate the money we used to spend on Christmas to our local food bank, and spend a quiet, non-fussy happy Christmas week at home. The 2 pack Playtex sippy cups at $9.58 are rather expensive. Did she know that they were going to rang in more and that she was going to have them free with SCOP? If yes how? And wouldn’t that be fraud?